Best Water Cooler: The Top Models in the Market for You! Home Best of Best Water Cooler: The Top Models in the Market for You! Walking into the kitchen, you decide you want a cup of tea. Wouldn’t it be great if you didn’t have to wait for the water to heat up so you can make your brew? A water cooler that dispenses both hot and cold water is the solution that can make that dream a reality. With a water dispenser, water is always available at the temperature you desire. 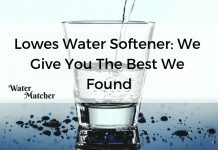 This article will help you in your search to find the best water cooler. What Is a Water Cooler? 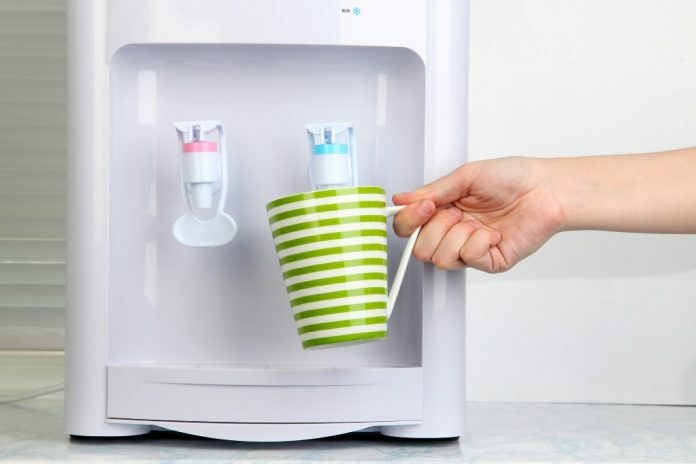 A water cooler is a device that can dispense both hot and cold water from a connected water bottle. Early water coolers only dispensed cold water, hence the name. What Does a Water Cooler Do? 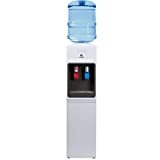 A water cooler connects to a large three or five-gallon bottle to dispense crystal clear water at the temperature you want when you want it. Some units distribute both hot and cold water. Some coolers create a block of ice that water passes through to reach optimal temperature. Others cool or heat the water through the internal temperature regulation equipment. Where Can You Buy This Type of Product? Many major retailers carry water coolers, including Amazon, Best Buy and Home Depot. The price of a water cooler depends on the features you want. Cold-water-only dispensers run a little cheaper in the total price. The units included in this list range from $126 to $329. We know that you want to make the best decision if you decide to purchase a water cooler. With that in mind, we carefully conducted an honest appraisal of many dispensers to see which one was the best water cooler. Specifically, we looked to see how units were selling and what sort of reputation the manufacturer had. In addition, we reviewed online customer reviews and testimonials, being careful to weed out any reports that might be biased or exaggerated. All of this data was compiled together to create this top 10 list. We have rated each product on a 5-star rating scale. 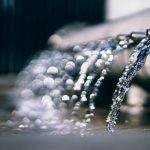 Finding the best water cooler for you is going to depend on what features are important to you. Some feature both hot and cold water spouts while others only dispense cold water. Most are free-standing, but there are also smaller ones designed for countertop use. In addition, one unit even comes with a pet water station. The water coolers in this review start at $126 on the low end and go up to $329. The cooler can be purchased online from Amazon and Walmart. The unit comes with a one-year limited warranty. 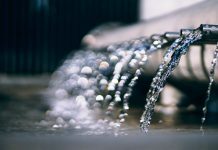 One thing people sometimes worry about when it comes to water coolers is whether they are sanitary enough. This model from Whirlpool takes away that worry, as it is self-cleaning. 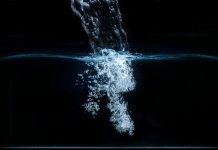 It uses unstable oxygen to break down viruses and bacteria in water with its 6th Sense Self Cleaning system. That means you never have to worry about whether the water is safe for your family to drink. 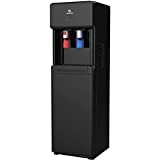 In addition, this cooler dispenses both hot and cold water, so you can always have water at the temperature you need whether you are making lemonade or instant coffee. The model A1WATERCOOLER can be purchased from eBay and Amazon. This unit comes with a one-year warranty. 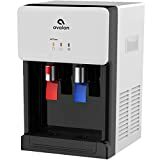 This top loading water cooler from Avalon was a popular purchase with consumers and had the largest number of positive reviews we could find for any cooler. It features a child safety lock on the hot water dispenser to give you the peace of mind you want. The dispenser holds both three and five-gallon bottles and is Energy Star approved. This water cooler can be purchased from Amazon and Wayfair. Model 218LIECH-SCDSSFWL comes with a one-year warranty. This model from Whirlpool stands out because the water is ice-cooled. That’s right, the unit actually creates a large piece of ice that cools the water as it passes through the ice. This process produces water that is almost 10 degrees cooler than other water coolers. In addition, it is another self-cleaning model featuring the 6th Sense Self Cleaning technology that protects against bacteria and virus growth. The fact that is a bottom loader makes it easier to replace water bottles with less chance of water leakage. This cooler can be purchased from Primo’s website or through Amazon. Primo includes a one-year warranty. Primo offers a unique feature in its water cooler design by including a pet station at the bottom of the appliance. That means that literally, your whole family can fill their water needs right from the dispenser. It dispenses both hot and cold water. This is available from Amazon.com. A one-year warranty comes with the purchase of this cooler. The B7A from Clover features an internal steel frame that is protected by a molded plastic outer shell. The stainless steel reservoir tank helps keep the water from developing mold or bacteria. The cold water dispenser has a thermostat that you can set from 35 degrees to 53 degrees Fahrenheit. In addition to Amazon, this cooler is available from Best Buy and Walmart. There is a one-year warranty from Primo. The model 601089 from Primo has at its core one of the easier bottle loading capabilities. Since the bottle loads from the bottom, there is no awkward balancing, trying to get the bottle into place without splashing water everywhere. It dispenses both steaming-hot and ice-cold water. The sleek and rounded design will add class to any kitchen or office setting. Both Home Depot and Amazon carry this model. The warranty is for one year. 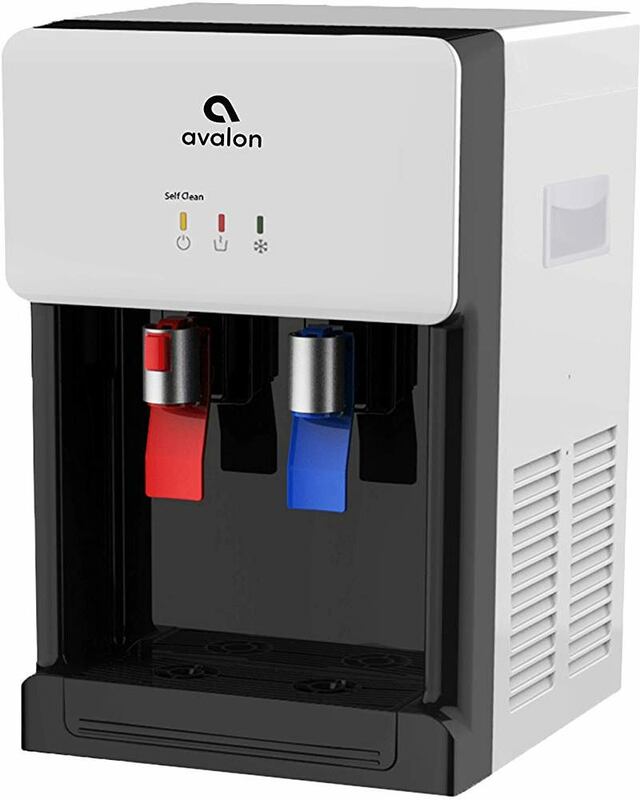 This water cooler from Avalon is the only one on our list that is a countertop model. It provides many of the same features as other Avalon units, including the child safety lock. Even though it is a countertop model, it can still support both three and five-gallon water bottles. The countertop design might be a better fit for office breakrooms. You can buy this cooler from Amazon or through Primo’s website. It includes a one-year warranty. This stylish option from Primo dispenses water at three temperatures through one spout. You can distribute hot, cold or cool water at any time you need it. The system uses ozone to keep itself properly sanitized in the water reservoir and water lines. The one-spout design gives it a more modern look. This appliance is available from Amazon and eBay. There is a one-year warranty included with purchase. This offering from Avalon qualifies for the Amazon’s Choice banner. It features three water temperature options from its industrial-style design. It is another bottom loading option, which is generally easier to load. It includes a built-in nightlight for nighttime water needs. Purchase this cooler from eBay and Amazon. Oasis offers a three-year warranty with this purchase. This model from Oasis was the only water cooler on our list to come with a three-year warranty. All of the other units only have a one-year limited warranty. The stainless steel casing resists fingerprints for a clean look at all times. The drip trays are removable and dishwasher-safe for easy cleaning. BOTTOM LOAD: No need to lift heavy five-gallon water bottles. Water bottles are hidden in the base of the dispenser. We chose the Whirlpool Self Cleaning Model 8LIECH-SC-SSS-5L-W to be our number one choice for several reasons. For one, it was one of the few self-cleaning models available on the market. Its unparalleled system uses the 6th Sense Self Cleaning technology to keep your water free from viruses and bacteria at all times. The LED indicators tell you when the system is running the cleaning function and when hot and cold functions are at their ideal temperature. The stainless steel design will be a welcome addition to any kitchen or company breakroom. Customer reviews were routinely positive with very few complaints, and those few were about individual unit defects. We feel you can’t go wrong with any of these water coolers, but we especially like the Whirlpool option. 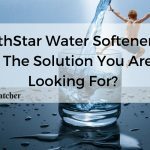 NorthStar Water Softener: Is It The Solution You Are Looking For?